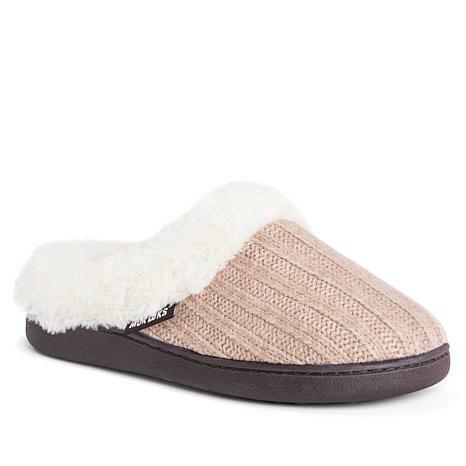 Ease into the day or night with feet comfortably nestled inside this plush, open-back slipper. Every memory foam-cushioned step puts you on the path of bliss. Love this slipper!!! Firs great and is very warm for my feet which is cold all the time due to bad circulation!!! Will buy again!!!! Size seems to run true and even though my feet swell it fits well!!! They fit fine and are comfortable. Ive had them a week and they are holding up well. I wear them as soon as I get home from work. A least 4 hours a day. I wouldnt recommend them for yoga or outside wear but for what they are meant to be, yes they are perfect. I senet these slippers to my mother for Christmas. Her legs and feet are always hurting. She said that they were a right on time gift. Well made and run true to size. Birkenstock's legendary footbed feels nothing short of amazing lined with natural shorn lambswool. 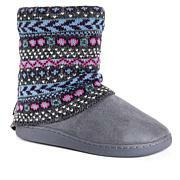 The cozy material provides insulation, while the contoured footbed supports and cradles foot. If you love Birkenstock footwear, you'll be in your happy place the moment you slip on the Kaprun clog.